The PNC Park food menu, like at most ballparks, reflects its hometown. 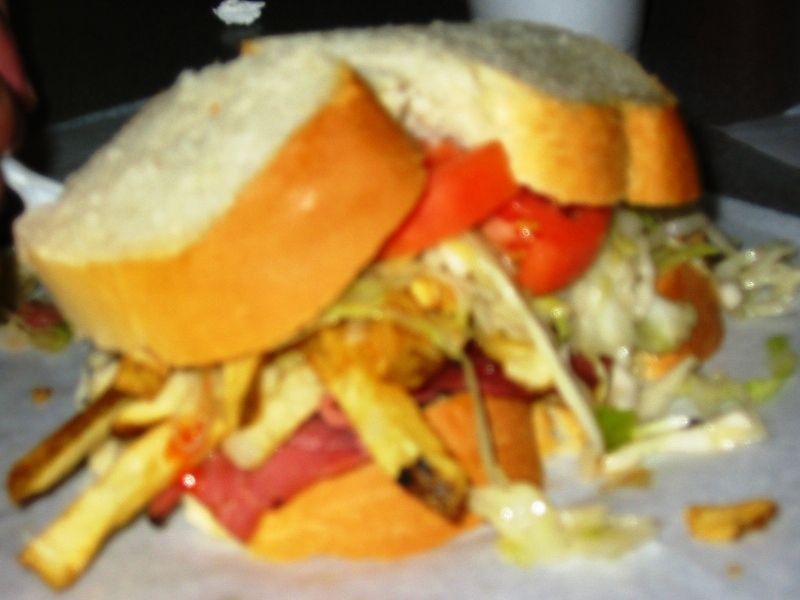 There is something special about the way Pittsburghers do sandwiches, for example. There are no rules. 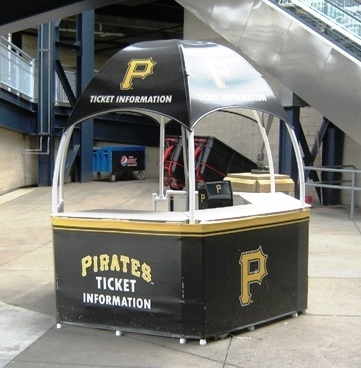 I’m not sure why this is some sort of thing that is somewhat unique to Pittsburgh, but the home of the Pirates is starting to reflect this in a big way, and like at most ballparks these days, fans can sample great local favorites without leaving the venue. PNC Park Food Tip #1: The Primanti Bros. Sandwich. Some locals will tell you that the iconic Primanti Bros. sandwich is not as great at the ballpark as it is at the several Primanti locations around the Burgh. Less food for your dollar and the slaw is less tasty, I’ve read. If you believe that, by all means try a Primanti Bros. location elsewhere. But if you don’t have that option, the Primanti sandwich is a classic taste of Pittsburgh at the game. I’ll describe the sandwich for you. At PNC Park you have a choice of steak, capicola or roast beef, covered with cheese and on airy Italian bread. French fries and Cole slaw are included, and they just happen to be piled into the sandwich. It is indeed a unique and delicious sandwich. I do recommend sitting down at a nearby picnic table to eat one though. If you eat it at your seat you’ll be picking fries out of your lap, and that just isn’t baseball. Why doesn’t Quaker State offer these at their oil change locations? Actually, scratch that idea. PNC Park Food Tip #2: Quaker Steak Boneless Wings. 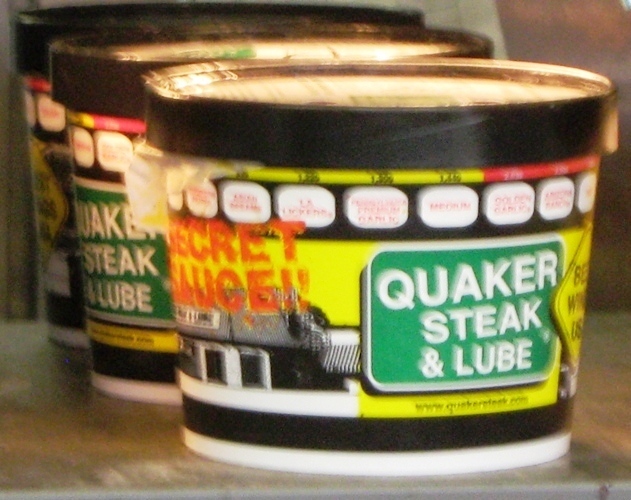 Quaker Steak’s logo is similar to Quaker State Motor Oil’s, big and green with white lettering, so you can’t miss it. I’m fairly sure they don’t use Quaker State oil for cooking wings though, or their wings might not be as popular. Quaker Steak has boneless wings in any of several flavors; last I checked the flavors were “Louisiana Lickers”, “Arizona Ranch”, “BBQ”, in hot or medium. You can get a large bucket of them to share, although at ballpark prices you may think it costs an awful lot for wings. The bleu cheese sauces aren’t included and cost a tiny bit extra, so if you like bleu cheese keep this in mind, because the cup of cheese is fairly small and you may need more than one. Quaker Steak & Lube is in Smorgasburgh near Primanti Bros., and there’s an outdoor picnic area nearby where you can reduce the risk of wing sauce on your Pirates jersey. 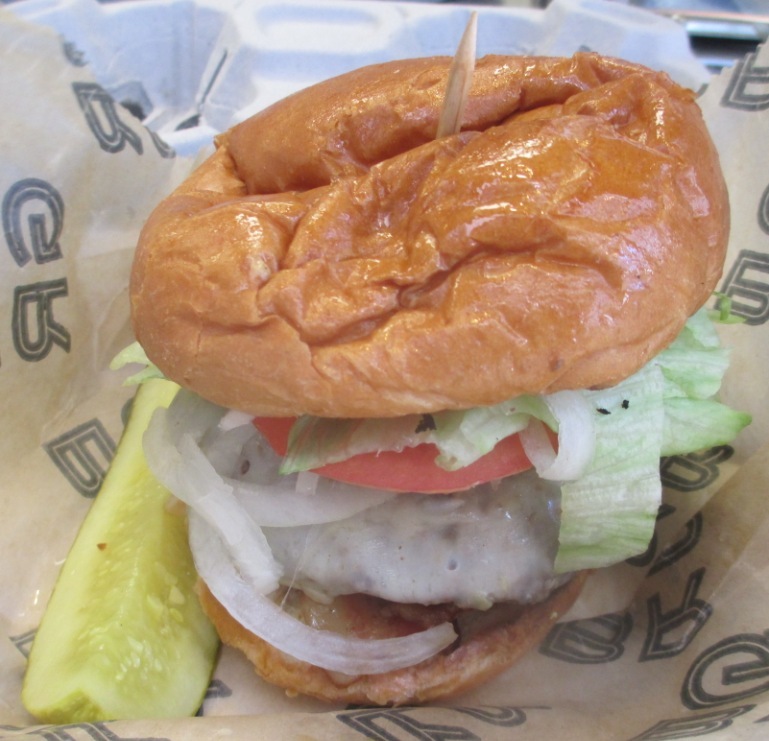 PNC Park Food Tip #3: The Abso-Bac’N-Lutely Burger. The fine folks at BRGR have a couple of popular burger joints in Eastside and Cranberry, and they’ll sometimes have a food truck on Federal Street before games with cheaper eats than inside. This burger isn’t the type of goofball burger with froot loops or whatever that you see at ballparks these days. It’s simple and necessary…a fresh patty with bacon, lettuce, tomato and your choice of cheese. It’s also a nice-sized thing, and messy enough to sit at a nearby table to finish. Best of all, BRGR has great milkshakes to go with it. Like McDonald’s but without the suspicious dollar menu. That’s just a few food items in PNC Park; but there’s also the Angus burgers at Manny’s, the Pierogi Stacker, the Reuben dog and much much more…think ahead.